Too many times my dreams refuse to come true for me. Just demons that stalk me. Things came together for me. Perhaps it’s just an illusion. Not life that eludes me. Welcome to my sunny shores. Akwabaa means a warm welcome. Africa welcomes you to its shores. You will find a people of great hope. A people of great courage. Discarded remnants, of the rest of the world. We long for the new. Not just the promises, of the next. We want to become intimate with plenty. To the joys of abundance. Come, all that eludes us. 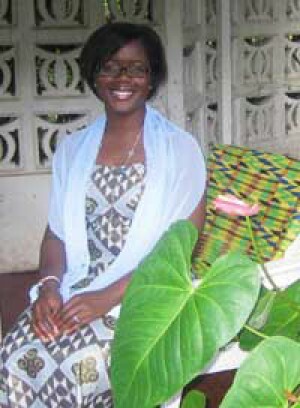 Otema Yirenkyi is an IT Strategist with a leading firm in Maryland. A collection of her poems, Pieces of Rhapsody in Words, was published in 2004.